A bold new retelling of the classic tale! 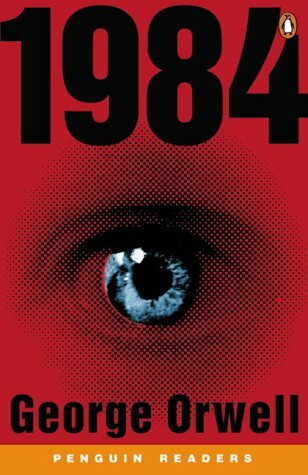 Winston Smith slipped quickly through the glass doors of Victory Mansions and began to climb the seven flights of stairs that led to his flat, on each landing of which the same poster with the enormous face gazed from the wall. Inside his flat at last, Winston heard the officious voice emanating from the oblong metal plaque on his right-hand wall. The telescreen, as it was called, received and transmitted simultaneously and could be dimmed but never shut off. Any sound that Winston made could be picked up by it. Any movement that Winston made could be seen as well. Winston looked out into the cold and empty street below at the posters that were plastered everywhere. "Damn it!" Winston cried out in anguish. "Who does Big Brother think I am --- Jay Leno?" The sad fact: Big Brother wasn't watching Winston! Hadn't been for months. "What do you have to do to get ratings in this crazy dystopian world?" shouted Winston, fists pounding on the walls. Winston had been checking the Nielsen's every week. He'd been doing pretty well overall, but in the all-important "27 to Supreme Eternal Life” Demographic," comprised solely of Big Brother, he'd been coming in at 0/0 since January! Winston had tried everything to get Big Brother to watch him. He learned to juggle; Big Brother remained glued to ‘The Voice.’ He brought in cute puppies and kittens; Big Brother watched ‘SNL,’ even staying tuned during the boring last 45 minutes after Weekend Update. Finally, Winston staged a one person production of ‘HMS Pinafore’ in which he sang all the parts; Big Brother tuned in to Winston's neighbors, the Blitzsteins, for all eight nights of Hanukkah. Winston began using words like "shticklach and shmendrick,” making quips about Jewish American Princesses, and even added a laugh track. Still he remained a ratings pariah. Winston sat morosely at his job at the Ministry of Truth with Julia, the dark-haired young woman who had recently furtively passed him a note saying "I love you." "Winston," murmured Julia, "why don't we go back to your flat and make mad, impetuous love?" "You think that might get him to watch?" "No, you idiot, because ... Okay, yeah, that might get him to watch." Winston had an idea. One last desperate idea. One he dare not share even with Julia. "Big Brother," he announced, back in his flat, staring directly into the telescreen. "I know you hear me!" "Big Brother, I have had enough. I am going to lead a rebellion to topple you from power and install a brutal, soulless, power-mad dictator who won't treat me like I'm the Oprah Winfrey Network! One with a more dapper mustache too, more like John Waters." There was at once a pounding at the door. "Open up in there, you degenerate swine. Open this door!" Winston could not help but smile. Ratings at last. The door cracked in the middle, then broke off at the hinges. Mr. and Mrs. Blitzstein, faces suffused with rage, had battered it down and were charging directly at Winston. "You've come for me," Winston said serenely to Mr. Blitzstein. "Come for you?" snarled Mr. Blitzstein. "Nah, we come for this." Mrs. Blitzstein produced a long crowbar and pried the oblong metal plaque off the right-hand wall of Winston's flat. In a moment the two were gone, the precious telescreen with them. They left Winston a Statement of Back Charges in the amount of $428.25. The clock struck eighteen. But it was all right, the telescreen would be back by Thursday. Winston had won the victory over himself. He loved Big Brother. And with some new programming, Big Brother was about to be lovin' him back too! He probably needed to invite the Housewives of New Jersey over for a round of the ham game. That would have gotten Big Brother's attention. 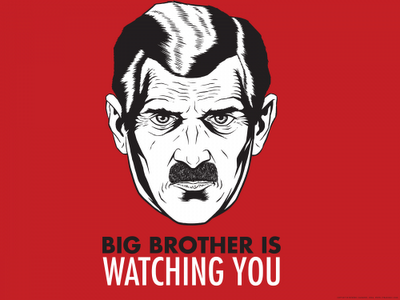 I think George Orwell got all broygis while spinning in his grave. He'd be so jealous! OMG! I just realized it, Marisa. Ha! Good analogy: in many ways, the "look-at-me-look-at-me-I'm-not-sure-I-exist-if-no-one's-watching" subculture of today is every bit as chilling and alarming as Orwell's dystopian vision. I just thought it would be fun to turn Orwell on his head, but you're right. Any reality in which "woo-hoo," "WOOT," and "tweeples" are a common part of everyday adult language is a lot scarier than anything Orwell dreamed up. Thanks, Debra. Very interesting piece. Except for those who use FB in place of the annual Christmas letter (which I understand), I am constantly amazed by the kind of personal information people put on Facebook that on-line acquaintances they've never met can see. "My brother-in-law Jack screwed me in business and I swear by God I'll get him!" "Here's Junior at his 2 year old birthday torturing the cat!" etc., etc. No wonder Winston can't get ratings.